No other contemporary athlete has been as admired among peers and beloved among fans as Brett Favre. From his arrival in Green Bay in 1992 to his retirement in 2008, the Packers’ strong-armed, free-spirited quarterback thrilled NFL fans with his exemplary talent and passionate style, and inspired them with his courage in confronting personal challenges. 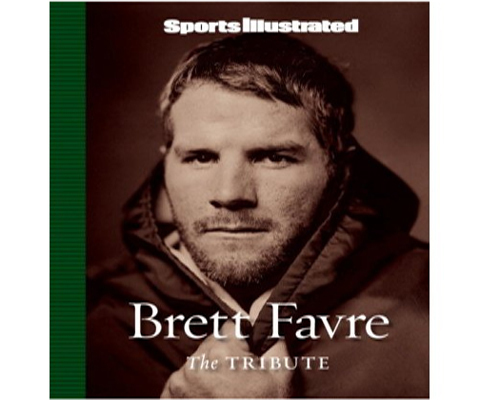 SPORTS ILLUSTRATED’s tribute to Favre is the definitive account of a remarkable career, collecting the best stories and photographs from the pages of SI to chronicle Favre’s rise from humble coach’s son in tiny Kiln, Miss., to premier passer of his generation and th personification of the American sports ideal. The product of SI’s unparalleled NFL access and insight, Brett Favre: The Tribute include 16 of SI’s finest Favre stories, by such renowned writers as Peter King, Michael Silver, Leigh Montville, Jeff MacGregor and Alan Shipnuck, plus brilliant pictures from the recognized leader in sports photography–stunning action shots, intimate portraits and candid off-the-field moments–that illuminate this incomparable athlete. Brett Favre: The Tribute stands as an enduring testimonial to an American icon, a man who, more than any other of our time, played his game the way it should be played. Boost your energy, manage stress, build muscle, lose fat, and improve your performance with the all-time best-selling sports nutrition guide! Nancy Clark’s Sports Nutrition Guidebook will help you make the right food choices in grocery stores, restaurants, drive-throughs, and your own kitchen. Whether you’re preparing for competition or simply eating on the go, let sport’s leading nutritionist show you how to get maximum benefit from the foods you choose and the meals you make. You’ll learn how to eat before exercise and events as well as how to refuel afterward for optimal recovery. Updated and on the cutting edge, the fourth edition includes the latest sports nutrition research on hydration and fluid intake, vitamins, supplements, energy drinks, organic foods, and the role of carbohydrate and protein during exercise. You’ll also learn about the new food pyramid and the American Heart Association’s latest dietary guidelines. 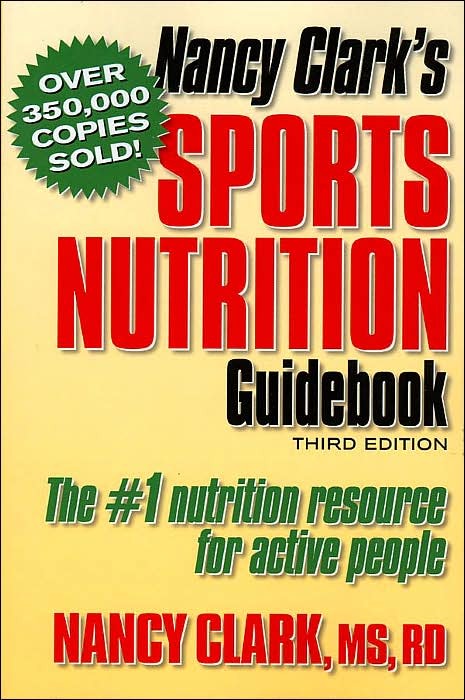 If you’re seeking advice on losing weight, getting energized to exercise, or improving your health and performance, Nancy Clark’s Sports Nutrition Guidebook has the answers you can trust. Think cheerleading is just pom-poms, “gimme an ‘R,'” and pleated skirts? Not anymore. Take an exhilarating trip through the rough-and-tumble world of competitive college cheerleading…. College cheerleaders are extreme athletes who fly thirty feet in the air, build pyramids in which a single slip can send ten people crashing to the ground, and compete in National Championships that are won by hundredths of a point. “Cheer!” is a year-long odyssey into their universe, following three squads from tryouts to Nationals. Along the way, meet unforgettable characters like Sierra, a cheerleading prodigy who has never lost a competition; Doug, who is in his eighth year as a college cheerleader; and Casi, one of the few female bases who can lift another cheerleader on her own. These are people who risk horrifying injuries on a daily basis, battle demons like eating disorders and steroid use, and form intense bonds. In the immersive tradition of Friday Night Lights, “Cheer!” is a captivating, all-access journey into a deeply absorbing world.